We have designed Business Intelligence dashboard to help managers and CEOs to monitor their company well. However I noticed that many entrepreneurs are still not using the dashboard as much as I thought. I believe this indicate probably that the dashboard is not very helpful or entrepreneurs are still struggling with daily survival and dashboard is still too far ahead to see. 1. It must be fast - display in a few seconds. Convenient. Fast. 2. It must help the managers and CEOs to understand things. It must help CEOs to know that they are below certain target. They also indicate what to do in order to improve the situation. 3. It must have action items or suggestions that CEOs could do. 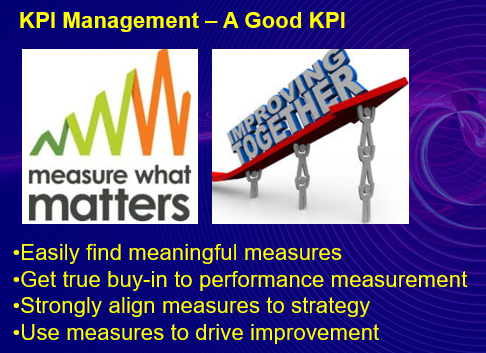 The KPI is central to a good BI since we must know what is our target and where is the lacking. The term Business Intelligence refers to the systems and processes that help to simplify and use information in an organization to enable faster and easier decision making by providing key information to the decision makers in a timely and efficient manner. Often, business intelligence is confused with the tools that simplify the process. It is necessary to understand that business intelligence goes beyond these tools, which are only the technology that streamline the process of business intelligence. In recent times, the concept of business intelligence has gained huge significance in every organization. To understand this significance, we first need to understand the benefits of business intelligence. In the first place we must have KPI in our company. The KPI should be part of business intelligence data so that the BI can be part of things that the management monitor so that it will help the company achieve the objective. 2. Enable faster decision making, have facts. Data must be available fast and decision can be made based on facts. The company must have a system such that data are available immediately. 3. Combines multiple sources of data for decision making. Data must be available from different sources - sales, hr, marketing, financial ratios such that decision making will be efficient and accurate. Data must be collected efficiently and real time or close to real time. The efficient collection of data will give the CEO/managers the correct data in timely manner so that their decision is efficient and effective. A small aadvantage against competitors will translate into big gains in business. By combining the various data we can build Business Intelligence that an give the advantage to the CEOs and managers so that this small advantage will translate in much bigger business growth. 1. Accounting data - will be processed monthly and summary data will be kept in another table. This will speed up the various dashboards and financial ratios data. 2. KPI module will be added. The BI will be closely monitored as compared to KPI data. The KPI data iteslf is available and updated instantly. 3. Data from CRM, Accounting and HR and Payroll will be combined to generate certain indications such that CEOs have better insight. 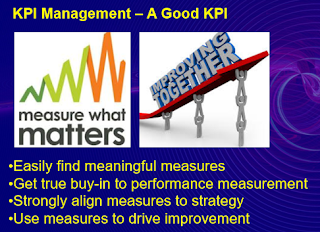 Obviously the KPI target will be central to what is important to monitor. Wait for this new version of BI from OfficeCentral. 1. You can only talk to 20-50 people in one time. It will take 100 seminars to meet 2,000 people ( assuming the number of 20 per seminar). 3. It takes a lot of time - travel, not convenience, half a day, one day seminar. 4. Most seminar will be in KL area. Other areas are very costly - we did seminar all over Malaysia. 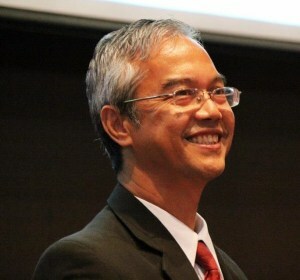 JB, BP, Muar, Melaka, Seremban, Senawang, Kuala Pilah, Bangi, Shah Alam, Sentul, Wangsa Maju, Klang, Ipoh, Alor Star, Kangar, Kota Bharu, Kuala Terengganu, Kuantan, Jengka. We even do seminar in Kuching, Miri, Kota Kinabalu and other major towns. Due to cost, the seminar outside Kuala Lumpur is not that frequent. This is where we will move in the next stage. 1. Many people can join at tye same time.Thousands can join. 2. It is low cost. Seminar can be free. Many topics. 3. No need to travel. You can log in from home, office, anywhere. 4. Very convenient. Save cost. 5. Seminar can be short, say 1 hour sessions. You can do our work after that. It do not interrupt your daily work. 6. You can ask via chat. Your questions wil be answered during the webinar. 2. How cloud and mobile technology can help you grow you business. 3. Entrepreneurs - building up million dollar business. 1. GST in India - how to implement in your company. 4. How to do GST transactions - issue invoice, receive invoice, government feedback - GSTR1, GSTR2, GSTR3. We will inform you on the various dates of the webinars. How wizards will help your users to start using the system without having to come to training classes? Wizards is supposed to be very clever guy that will help you solve any problems. 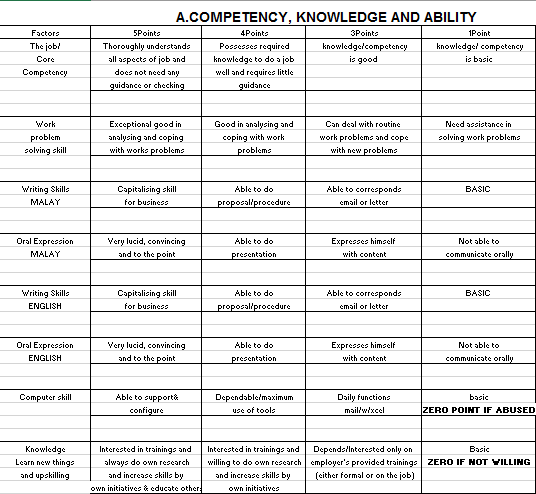 This is what we call our online intelligent help module. The problem when you start using the OfficeCentral is the complexity of the software. The same software can be used by user in Malaysia, Indonesia, India or other countries. Obviously setting is very important to tell the system what country you are located, what currency, your accounting period, your working hours etc. Most users need to come for training to do the setting. I notice that probably more than one hour will be used to do global setting, module setting, user setting, format setting etc. When you log into OfficeCentral, you will see "wizard". Click the wizard. The you will be guided by the document,. Just follow the instruction. and if no setting, will show not set yet. example set Start "January" " 2017", End "December", "2017"
and you log in into the system and do the setting your self. It will work. But most users rarely read the manual. They just log in and try to figure out what to do on the go. In wizard, you do it within the wizard document and follow the live guide. The wizard will even tell you what is the current setting. Wait when we launch the wizard soon. Managing Inventory is important to save time and prevent losses. Inventory management system is a complex software. We have been tinkering with our Inventory Management system for a while now. However I a still not satisfied with what we achieved. Probably the task is quite complicated. 1. This is where we keep the list of products that we sell. You can see that for one product item, we have to handle three variants. We we should do is to register every variant as a separate SKU and separate barcode. This is the method of inventory management and SKU management. So you will have every product and variants have different barcode and SKU number. We register the Package 1 as another SKU with own barcode. and we need to select the items and variants and the quantity for this variant. From this we would be able to know what is the content of the package. You notice that all individual content of the package is also registered in Pricebook as a unique SKU. You select the variant to fix the actual order. which we can give the list from pricebook. The SKU is the unique code for every package or item. Go to the SKU and deduct or add as required. For package, the SKU contanins other SKUs as defined in pricebook. You can have the report for individual SKU from this method. We will let you know when this version is launched. This will improve the way we show things in our POS. How to handle 10,000 new users of OfficeCentral in India within three months? We will be using webinar to do this. All online lectures and workshop will rely on this technology. Wait for the webinar schedule. We have been having intense discussion on how to handle 10,000 new users within the next three months in India. Could the number goes to 100,000? Or reaching 1,000,000? You will see later. 1. We will deliver webinar to all our new users. They will learn about GST, how to start up OfficeCentral, how to do transactions and how to generate the GSTR3 report from the webinar. 2. The webinar will be available every day monday to friday. 3. Time is from 9:00am to 10:00am online lecture, plus 30 minutes Q&A. 4. If they miss the day lecture they can look at the reorded webinar ad search the titles that they missed. 5. Using this method, we can have thousands of users log in into the webinar every day. The target 10,000 numbers trained will be achieved. Probably 100,000 or 1 million can be trained using this method without straining our resources. 2. Using OfficeCentral - start up, using start up wizard. Setting Chart of Account, default PERS compliance, Intro to various modules, Upload data to Debtors, Creditors, Input data to CoA. 5. Combined transaction - revenue, expenses, interstate transactions - generate GSTR3, GSTR2, GSTR1 reports, P&L, Balance Sheet. cash flow. 6. Receiving government feedback - input tax approval, output tax, interest, fines - generate GSTR3 report after receiving government report. 14. Using OfficeCentral HR - leave, movement, claims, org chart, attendance interface to devices, interface to payroll. The titles 2-6 will be repeated every week s that users that missed the webinar can join the next week webinar. They can also listen again to recorded webinar. The lecturers may change on different week. The content will be the same. We wil start this in April 2017. You may look into this method when you find that your traditional strategy in training your users are not working due to the volume. We have been using our traditional method for the last 4 years. Almost every week we have the OfficeCentral training. We have trained thousands of users during the last four years. The question is can we do the training of 10,000 users in 3 months using the traditional method? 360 degrees Performance Appraisal. Many organisation still use this method including my own company. However I believe we should move on to more responsive approach.. I have been using this method for many years. Probably it is easy to use, but is it really working? We will discuss about it in the later part. You know that I am always proposing KPI that you should see every day and get updated instantly, rather than doing it once a year. However since many people are still using this I will write about it. 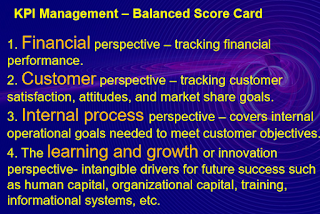 In fact we will add that into one of the standard OfficeCentral module -KPI module- Personal Assessment 360. The 360 degrees Performance Appraisal method was first used in the 1940s. Analogous to the multiple points on a compass, the 360 method provides each employee the opportunity to receive performance feedback from his or her supervisor, peers, staff members, co-workers and customers. Which category of staff use Performance 360? 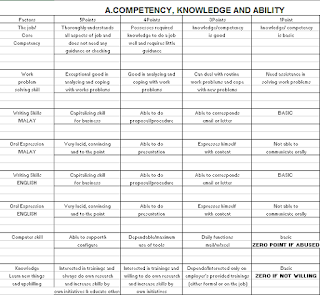 Normally for Managers, senior levels. The work is complex and he interact with many group of people. The following person do the 360 assessment. Superior’s appraisal forms the traditional part of the 360 degree appraisal where the employees’ responsibilities and actual performance is rated by the superior. the correct feedback given by peers can help to find employees’ abilities to work in a team, co-operation and sensitivity towards others. Offer a more comprehensive view towards the performance of employees. Improve credibility of performance appraisal. Such colleague’s feedback will help strengthen self-development. Increases responsibilities of employees to their customers. The mix of ideas can give a more accurate assessment. Opinions gathered from lots of staff are sure to be more persuasive. Not only manager should make assessments on its staff performance but other colleagues should do, too. People who undervalue themselves are often motivated by feedback from others. If more staff takes part in the process of performance appraisal, the organizational culture of the company will become more honest. Extension of exchange feedback can cause troubles and tensions to several staff. There is requirement for training and important effort in order to achieve efficient working. It will be very hard to figure out the results. Feedback can be useless if it is not carefully and smoothly dealt. Can impose an environment of suspicion if the information is not openly and honestly managed. I normally do this to decide on increment in my company. We also do it to promote certain staff. However I believe there must be more than this. This requires another thought. If you loom around, you will see so many design and method people use to do the staff evaluation. Like I said before, I always prefer a system that the staff gets feedback immediately, not once a year. You can make your own list and what is important for you. We do not give to customers nd his subordinates to evaluate him. and we do it once a year grudgingly. Can we get the data automatically from the system? Can the company benefit from getting better performance? the staff benefit from the feedback that he will perform better. The next question is, do all this performance numbers supporting the company strategic plan? What are company strategic plan? 5. We want to reach to 20,000 new potential customers. but not helping into strategic target of the company. 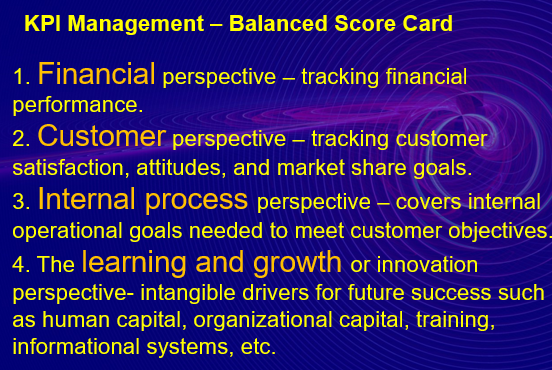 That is why some people will use Balance Score Card to help them guid the direction of the staff towards the specific objectives. How do you build KPI management for the whole of your company? KPI for sales department is much more straight forward, KPI for the whole company is need much more thought. Building KPI for the sales department is quite straight forward. You look at sales funnel concept and set your KPI and the sales process in place. Of course another component is your company sales process must be automated, using a system. No need to ask your sales staff to write report at the end of the month. These are the normal KPI for the sales people. In fact if you use ny CRM software, you will see the KPI and the Process flow. OfficeCentral also have these features. The KPI for the whole company is much more complicated. Every one of the staff performance will have impact to overall company performance. Normally every staff will have between 4-6 KPI targets. The calculation is based on the various staff KPI and the weightages. The result will be he KPI for the whole department. the calculation will have impact to the performance of he whole company performance. the calculation will become the performance of the whole company. Most companies will fumble during the building of the KPI process. 1. What is the correct measurement? 2. What is the correct weightage? 3. Are we giving the correct hings to do? 4. Is it really helping the company to achieve the objective? The measurement should come from the process within the company. If you are doing it manually, i.e everyone have to key in their work or numbers manually every week/every month, the system will fail. Try to have a system to automatically track the KPI. Can we grow during difficult economic times? How buyers decide? What products will grow during this time? We have gone through three years of lean time. 2015, 2016 and now 2017. How to grow? Many companies are experiencing the pain. During this time the companies will try to be lean. 1. They will become more lean. 3. They will focus on their core business. 4. They will search for products that can do the work, at lower cost. 5. They will look carefully their cash flow. 1. OfficeCentral is powerful, with many features, that satisfy their needs. Will help them to become more efficient. More effective control of their operation. 2. The price is very economical. Can pay monthly. 3. Many companies will focus on their core business, even for companies with IT department. So they will purchase IT products rather than making everything themselves. Our experience is, you can still grow in lean economic times if your prouct satisfy customer needs. In fact lean times is an opportunity to grow for people like us. Join us in this group. Grow even during lean times. How to get 10,000 users (within 3 months) to use your product without having training classes? We are used to the idea that users must come for training for enterprise product like OfficeCentral. This is the question that I asked my staff. We are used to rely on traditional training in order to train our users about OfficeCentral. Yes, it is a lot to crunch in a few days. Accounting, HR, Payroll, CRM, POS, Inventory etc. The old method, while it worked, we cannot become global billion dollar company if we continue as it is. you will see the WIZARD. You can go to the Chart of Account to handle other settings later on. The wizard will also have one video on the use of the wizard itself. So you can use the wizard ad watch the video. No need to come for classroom training,yet you can use OfficeCetral. We will make use of our experience training thousands of people using OfficeCentral in order to give the best wizard to you. With this WIZARD, we will be able to handle thousands of new user that will use OfficeCentral every week soon.